SEEMSAN Moulded Polypropylene High Capacity Pumps are specially designed and developed for high capacity and high head application. AKRON- 220 Model is designed to transfer ACID / ALKALI/ Effluent at higher head & high flow rate. This pump can operate at 1450 RPM as well as 2900 RPM. AKRON series pumps are high volume / flow transfer pumps. Recommended for acidic efffuent transfer for large scale industries. Scrubbing acidic fumes in steel industries. 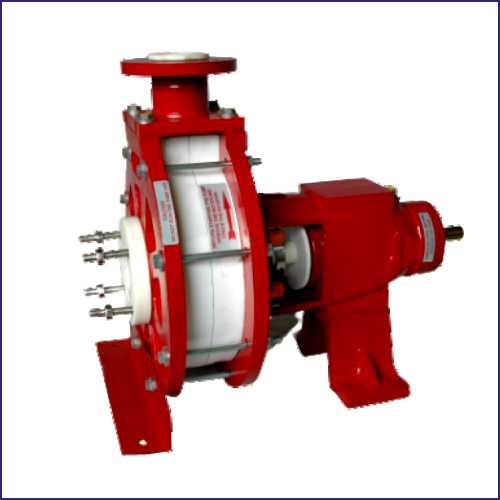 Pumps are supplied with special Mech.$eals for applications like Slurries, thicker liquids, mixing fluids etc. PUMP Available with PT.F.E. Glandpackings.